With the barcode generator, you can upload your database of barcode values and generate thousands of barcode images at a time. We will then email you a link to a ZIP file containing the barcode images you generated. Our online barcode generator also has an API for high throughput barcode generation. 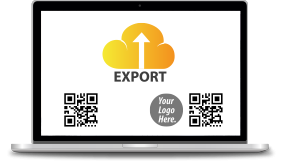 It enables you to create 2D barcode images in either QR code or PDF417 format. Sign up to try it out. Registered users of CodeREADr can generate both standard and branded barcodes through the API. Branded barcodes are images that contain more than just the barcode, such as a logo image. The barcode generator API supports creating both QR code and PDF417 barcode types. 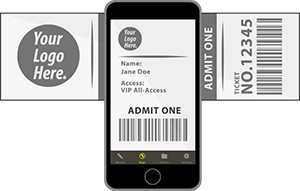 For branded barcodes, the barcode generator API can be used to create barcode images with custom graphics and text around the barcode. Our customers can add their own logo and custom text to the image of every barcode then generate. First a barcode template must be created by uploading the common graphic logo and common text. Then the barcode template can be used to generate barcodes with graphics and text around it. Another reason to generate barcodes would be to test a barcode scanning workflow, the validation database, or the barcode scan response. Any value in a database uploaded to CodeREADr can be generated into a barcode from the user interface. The barcode scanner app can then be used to decode the barcode and verify the data before enabling a barcode scanning service.